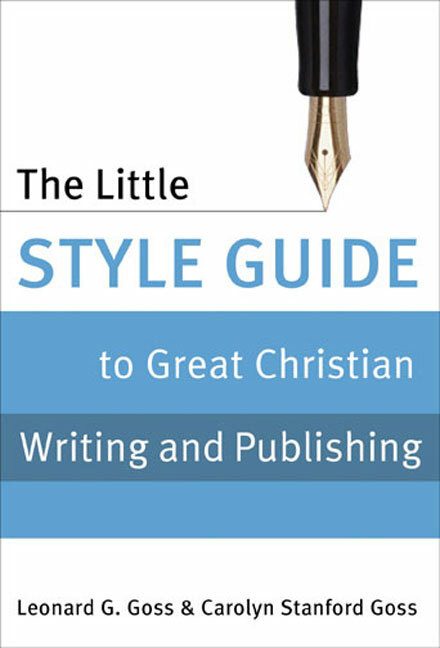 The Little Style Guide to Great Christian Writing and Publishing provides a fresh understanding and distinctively Christian examination of style and language. It covers all the basic rules of grammar, style, and editing and will be of immediate interest to Christian writers and editors. The Little Style Guide will be cross-referenced with the Chicago Manual of Style, Fifteenth Edition and will be a welcome companion to the CMS in handling concerns that are unique to Christian writing and editing. The burgeoning field of electronic publishing has greatly increased the number of Christian writers. In the U.S. alone, there are over 500 Christian writers conferences and guilds each year. The Little Style Guide will serve the needs of the largest publishing houses and their authors and editors along with the smallest churches who weekly publish a newsletter and communicate through a Web site.